I know it’s hot, but that doesn’t stop me from enjoying a nice bowl of beef stew. 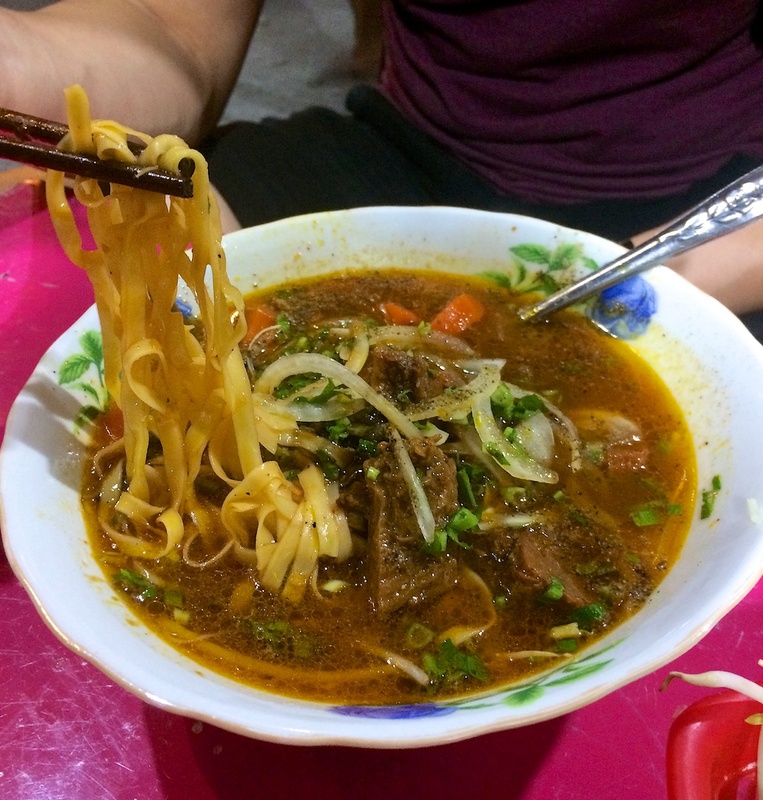 Bò Kho (beef stew) has a deep-reddish color and it’s rich and hardy. 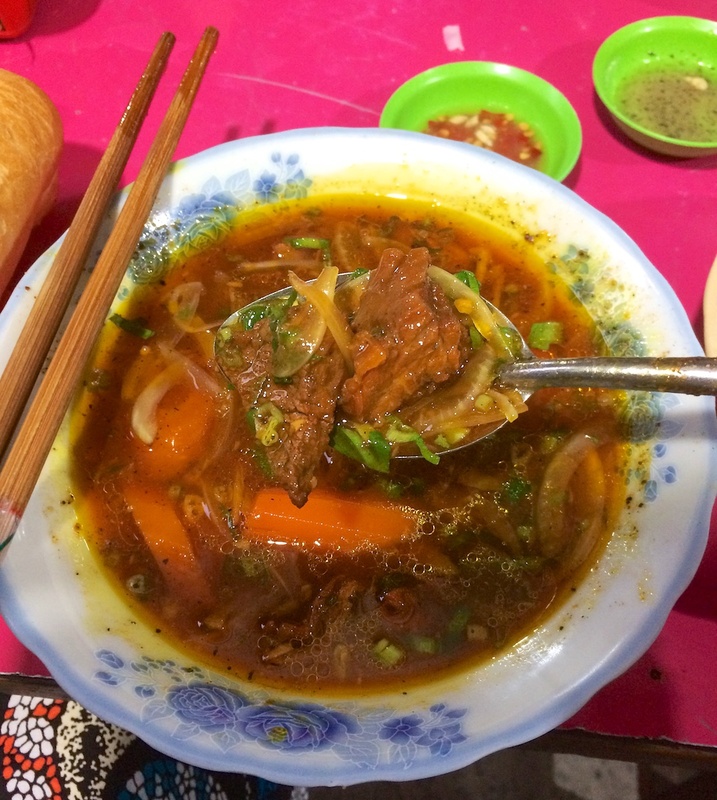 The soup is made from beef tendons, oxtails, and other connective tissues. It has aromatics such as carrots, onions, ginger, and lemongrass stalks along with spices like star anise, cinnamon, and Chinese five spice powder. All of these things bathing together in a pot only means one thing: amazing sweetness and flavors. 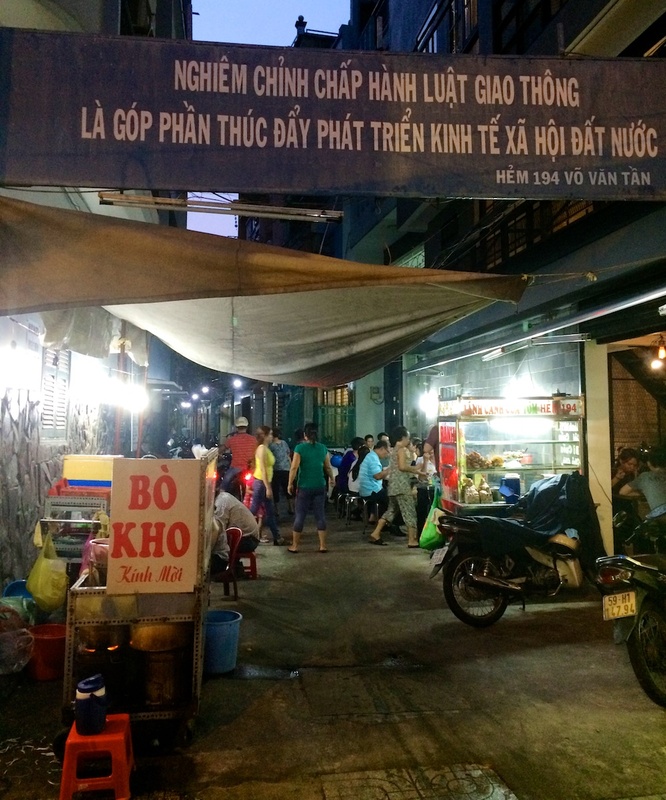 You have a choice of carbs to accompany the stew: egg noodles (Mì), rice noodles (Hủ Tiếu) or a loaf of French bread (Bánh Mì). I grew up eating it with a French bread, but if you are hungry, opt for the noodles. The typical dipping sauce for this dish is lime and chili salt. The citrus and salt combination brightens the stew and I usually dip the super tender beef and bread in it.